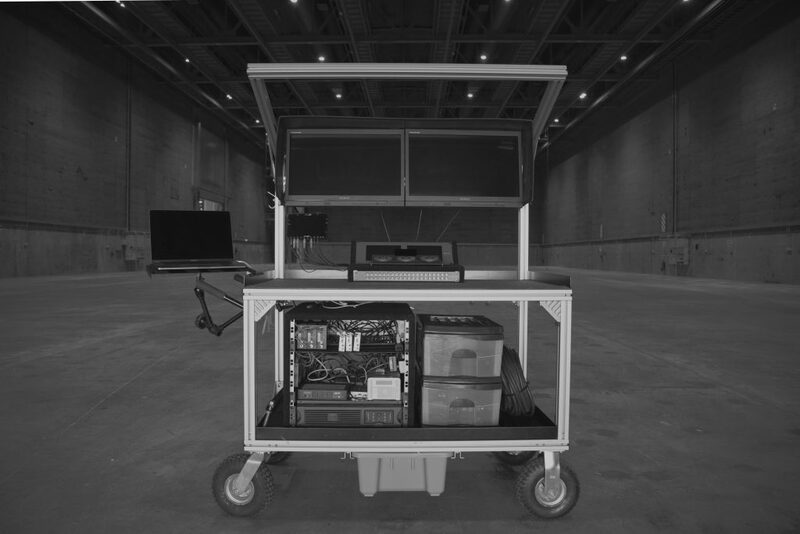 The build of a DIT Cart can be influenced by many different factors, going from personal preferences to specific requirements of a production. One important factor that’s easily forgotten is the location that a DIT works in. Someone who knows this best is New Zealand-based DIT Jason Naran. 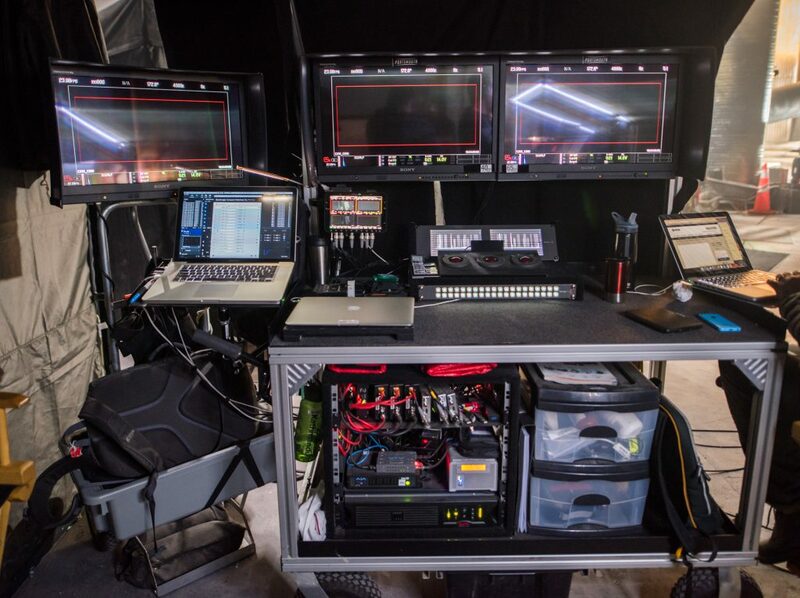 His cart is built to be robust and adaptable at the same time, in order for him to use it on shootings in the famous New Zealand locations. In a recent interview Jason shares some details on his cart. 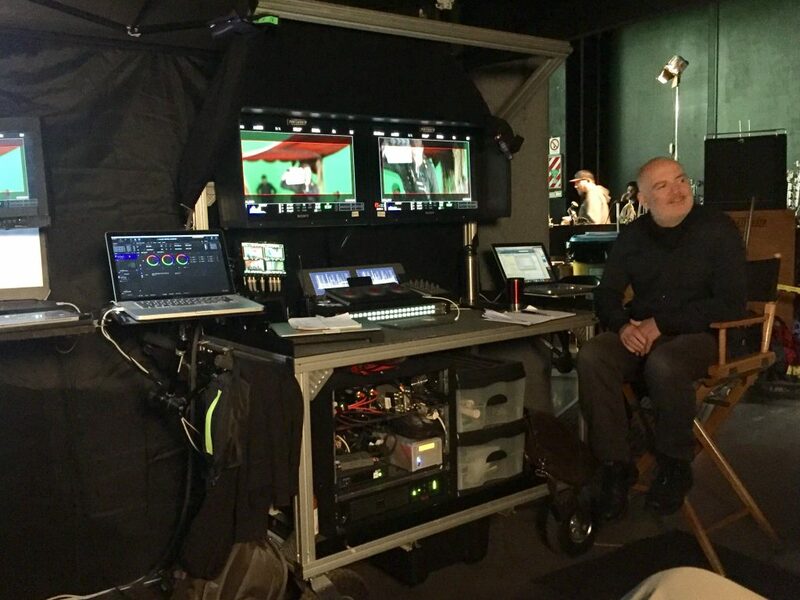 He explains why for his DIT work, keeping some special space around his cart for the DP is important to him, and why at snack times his cart becomes very popular amongst the film crew. Hi Jason, nice to meet you! Can you please tell us a bit about yourself? How did you get to do DIT work? Hi everyone, my name is Jason Naran. I work as a DIT and Video Playback Operator based in Wellington. I usually get invited to work on big budget productions that come to shoot in New Zealand. I’m very lucky that Wellington is where Peter Jackson is based with his studios & post production companies. Wellington is also the home of famed Weta Digital and Weta Workshop. Between these facilities, it is easy to stay busy with complex and challenging projects. We are interested in your DIT cart because we know that everyone’s cart setup varies. How would you describe your personal overall cart setup? My current cart is very custom. I designed and built the aluminium chassis while working on an intense VFX Miniatures shoot last year. 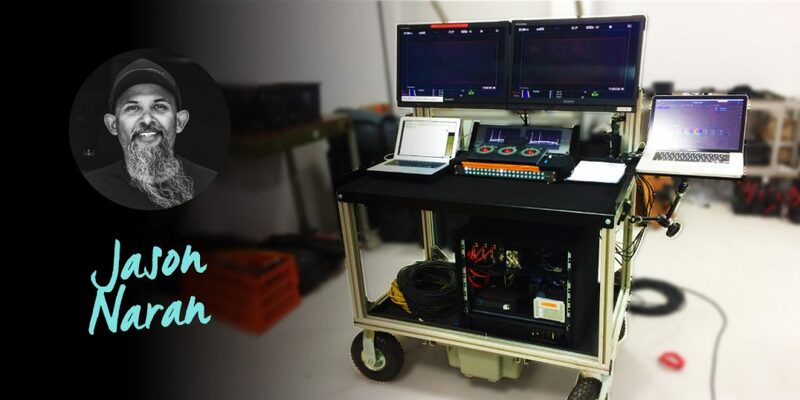 This cart is mainly intended as a studio based DP monitoring station, and is configured for color management. During my DIT work, I don’t always need to handle data management from my cart, as on bigger jobs, Park Road Post often handle the camera media. But when I need to, I normally place a Silverstack Lab station on a separate trolley nearby. It allows more room on my cart for the DP’s comfort and adds to their viewing experience. Let’s have a closer look at your cart. What size is it? How many monitors does it have? The cart is built from 45x45mm Aluminium extrusion, that is very strong and reasonably light. It has two Sony 25” OLEDs set side by side. The cart can fit through doors and can be carried up steps if needed. The Sony’s are more easily available in NZ, and so they are more common. I often add an extra OLED that stands alone on a separate stand. This allows me to easily break it off and move it closer to camera when needed. Does it have wheels? Is it foldable? The cart sits on 4 wheels that are very robust and could handle most rough locations around NZ, but it’s not intended to fold. The cart can be separated into smaller parts, but I normally configure it into an alternative arrangement for tough location jobs. In NZ we have a lot of mountains that make for great shooting locations, so being adaptable is important. What kind of video gear and computer gear did you include in your cart? I run an older generation Mac Book Pro – pre Retina with LiveGrade Pro. It is a great workhorse of a machine, that is very reliable. My router, LUT boxes and raid drives all sit inside a rack case below deck. Only the scopes, a recorder and the router control panel sit above deck. 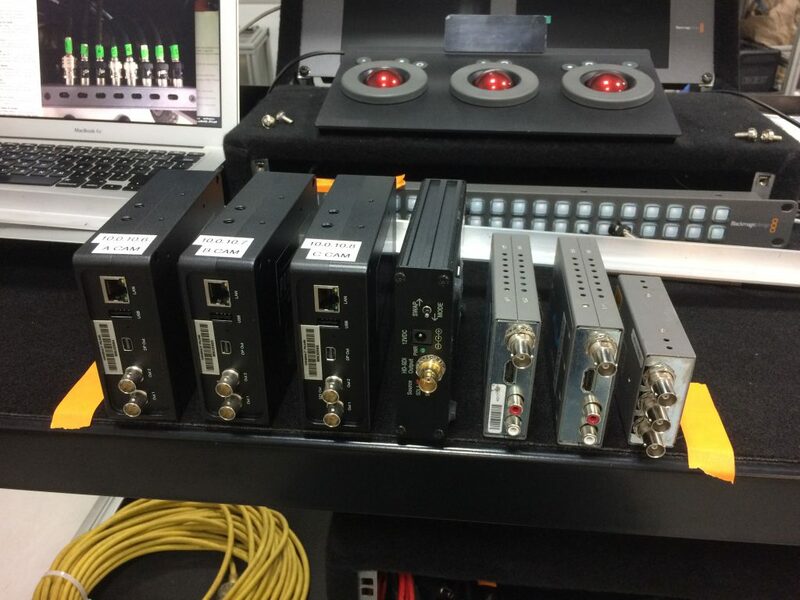 I run wireless links to each camera on set. How do you handle power supply on set? Power is relatively easy for this cart, as it is all managed through a UPS. The wireless receivers are powered by V-lock batteries so I can place them close to camera. 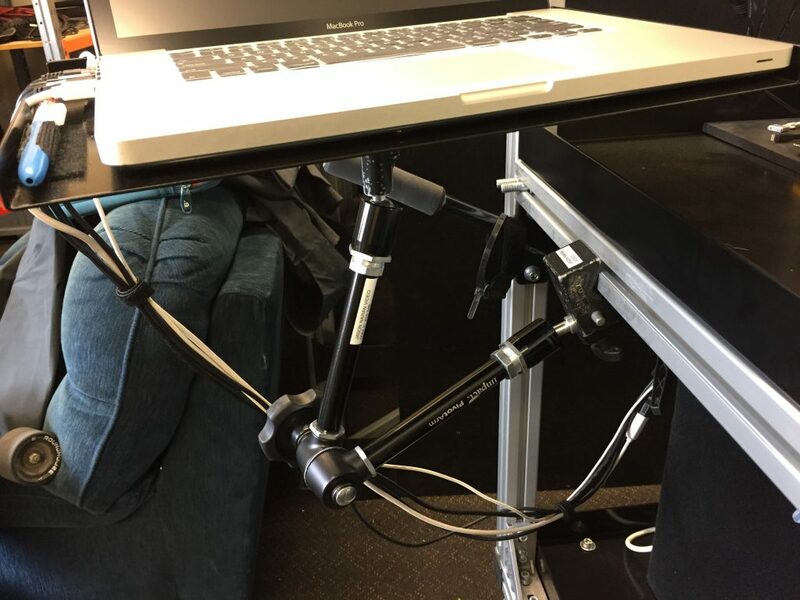 It means that with only one power cable, everything comes alive on the cart… it’s very quick to get into shooting mode every time. What are the accessories and special features of your cart? I’d have to say that the laptop tray is special to me. It sits to the side and safely folds away for travel. I can run everything from my side position without having to reach across the cart. This leaves a good amount of room in the middle for the DP and their personal gear, like laptop, shooting notes, phone, water bottle and bag. It all stays safe and available to them on set. The DIT cart area is a very important zone onset. It is the DP’s creative work space. During my DIT work, I like to keep the area very accessible, clean and quiet. There is usually a lot of intense conversation and important decisions to be made from this area. With the help of the AD’s, we try to create a sanctuary around the DIT cart for the DP and DIT to work from. What is your personal favourite component of your cart? I don’t personally have a favourite component on my cart. Every item is my favourite in a way, as each item has an important purpose for my DIT work, or it is not going to be on the cart. It is well known that we have the best onset catering in the world here in Wellington – Billionaires Catering. But I have to admit, that I still carry my favourite bottle of hot sauce on my cart. It is very popular amongst the crew at snack times..! Thanks to Pomfort for creating these DIT profiles. It is always interesting to read how other people around the world approach the same role. Many thanks to Jason for sharing those very interesting details and photos of his cart! 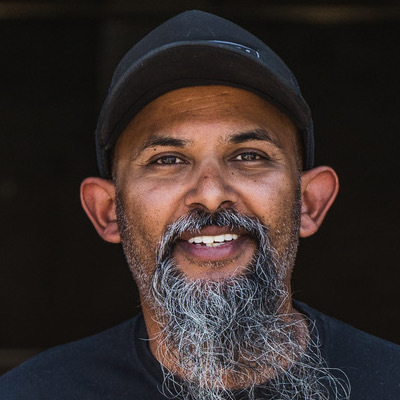 Based in Wellington, New Zealand, Jason works as Digital Imaging Technician and Video Playback Operator on many large-scale productions. 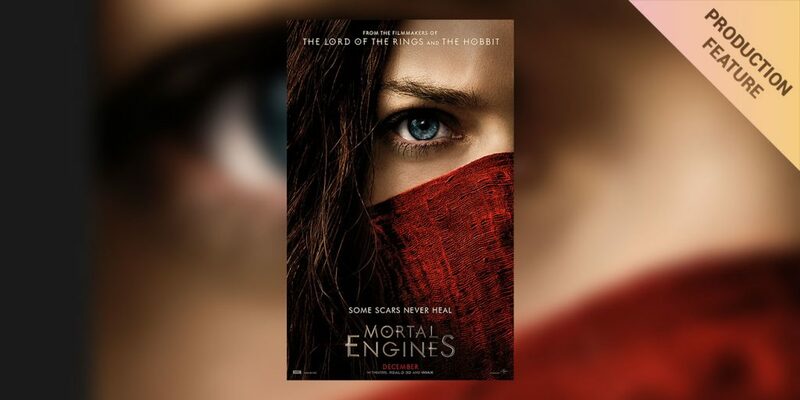 Projects he's been working on include Peter Jackson’s Lord of the Rings, The Hobbit, and other Blockbusters such as Ghost in the Shell and Blade Runner 2049. Jason is also a trusted participant of the Pomfort beta program, and has been actively involved in testing and improving the software.